Mad Max: Fury Road came out more than a year ago but it is still a movie many of us are talking about. We are hopefully going to get a sequel/prequel from George Miller at some point, but in the meantime, we now have something to reignite our love for the movie. Mad Max: Fury Road: Black and Chrome, the black and white edition of the movie, is now available to stream on Amazon. Mad Max: Fury Road: Black and Chrome is something that has been teased ever since the release of the move last May and has finally arrived for fans to check out. It is now streaming on Amazon and can be purchased for $20 or rented for $6. A physical copy of the movie will be made available this December, but if you don't want to totally shell out for another Blu-ray copy, this is a good way to go about it. Unfortunately, even if you have Amazon Prime, this is not something that can be streamed for free, so it will cost a few bucks to check out this version of Mad Max: Fury Road. 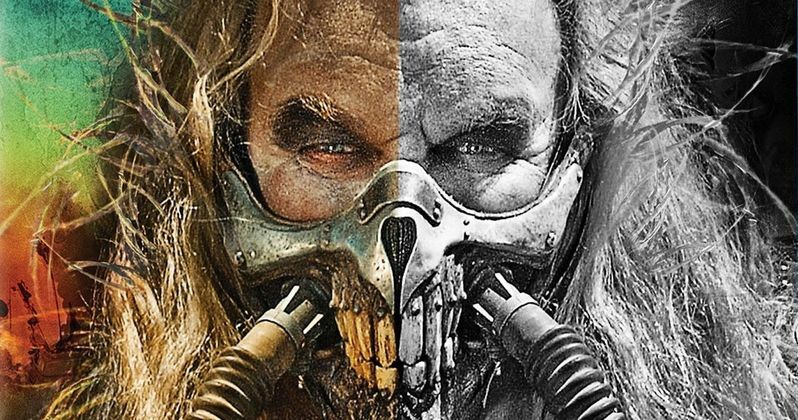 George Miller himself has said that this black and white version of Mad Max: Fury Road is the "best version" of the movie, which is a bold statement. In an interview from last May, the director discussed the black and white version of the movie in great detail and why it is the best way to see it. Here is what he had to say. "We spent a lot of time in DI (digital intermediate), and we had a very fine colorist, Eric Whipp. One thing I've noticed is that the default position for everyone is to de-saturate post-apocalyptic movies. There's only two ways to go, make them black and white - the best version of this movie is black and white, but people reserve that for art movies now. The other version is to really go all-out on the color. The usual teal and orange thing? That's all the colors we had to work with. The desert's orange and the sky is teal, and we either could /mad-max-fury-road-black-and-white-cut-release/de-saturate it, or crank it up, to differentiate the movie. Plus, it can get really tiring watching this dull, de-saturated color, unless you go all the way out and make it black and white." Director George Miller has stated in the past that he has a script ready to go for a follow up to Mad Max: Fury Road, but he has also been non-committal to the idea that he would be rushing to start up production on another movie in the franchise. We reported on a rumor last month that stated production was gearing up for a prequel movie called Mad Max: The Wasteland, but there has been no word on it since. So, we will have to resort to watching Mad Max: Fury Road: Black and Chrome a few more times while waiting for director George Miller to bring us back that world. Mad Max: Fury Road was a box office success and critical triumph. The movie did well enough, earning $378 million at the worldwide box office, but it was the critical reception that really helped make the fourth installment of the Mad Max franchise a big success. Fury Road was named the best movie of 2015 by many critics and it garnered ten Academy Award nominations, bringing home six wins. It was also the best-rated movie of 2015 on Rotten Tomatoes. You can check out Mad Max: Fury Road: Black and Chrome on Amazon now and you can pre-order the Blu-ray, which will be released on December 6.